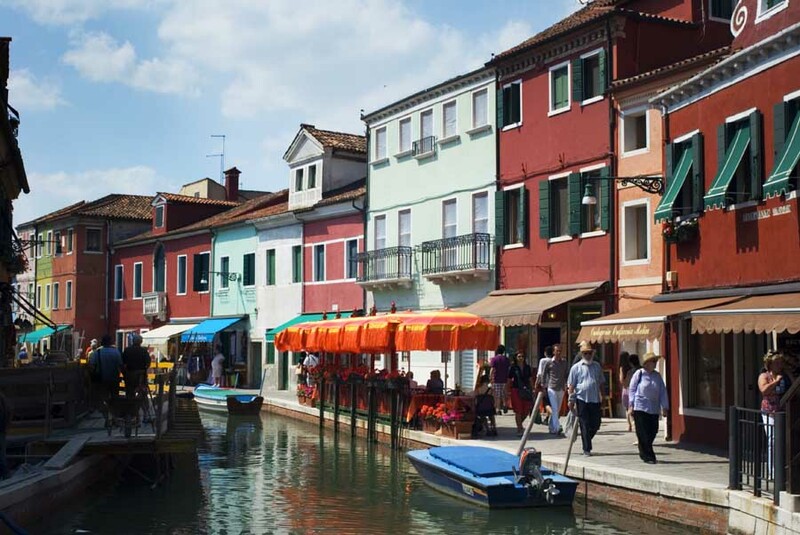 When traveling to Venice a day trip or couple nights in Burano is a must! Our travel club stayed here a few years ago and we’ve been itching to plan another group tour to Italy ever since! Burano is located in the northern part of the Venetian Lagoon, just a short boat ride from the famous Venice archipelago. Though it appears to be one island, Burano is actually an archipelago like Venice with 5 natural islands connected by bridges. Photographers will have a blast taking pictures of the colorful buildings that have made Burano world famous like in this travel photo. Must go back. We somehow missed Burano on our first trip to Venice.